I, _______________________ (motto), being of sound mind and body, and prepared, on this ____ day of _____________ [Anno ____ Sol in _______ ° of _______] do hereby resolve: in the Presence of _________________________, an Adeptus Minor of the A∴A∴: To prosecute the Great Work: which is, to obtain control of the aspirations of my own being. Further, I promise to observe zeal in service to the Philosophi under me, and to deny myself utterly on their behalf. May the A∴A∴ crown the work, lend me of Its wisdom in the work, enable me to understand the work! Reverence, duty, sympathy do I bring to the A∴A∴ and right soon may I be admitted to the knowledge and conversation of the A∴A∴! 0. Let any Philosophus be appointed by authority a Dominus Liminis. Let him read through this note of his office and sign it. Let him cause the necessary addition to be made to his Philosophus’ robe. Let him make an appointment with his Dominus Liminis at the pleasure of the latter for the conferring of advancement. 1. The Dominus Liminis shall proceed to the Grade of Adeptus Minor at any time that authority confers it. 3. He shall meditate on the diverse knowledge and Power that he has acquired, and harmonize it perfectly. And in this matter he shall be judged by the Præmonstrator of the A∴A∴. 4. He shall accept an office in a Temple of Initiation, and commit to memory a part appointed by the Imperator of the A∴A∴. 5. Besides all this, he shall abide on the Threshold. Let him remember that the word Dominus Liminis is no idle term, but that his mastery will often be disputed, when he knoweth it not. 6. When at last he hath attained to the grade of Adeptus Minor, let him humble himself exceedingly. 7. He may at any moment withdraw from his association with the A∴A∴ simply notifying the Adept who introduced him. 8. He shall everywhere proclaim openly his connection with the A∴A∴ and speak of It and Its principles (even so little as he understandeth) for that mystery is the enemy of truth. Furthermore, he shall construct the magic Lamp, according to the instruction in Liber A. 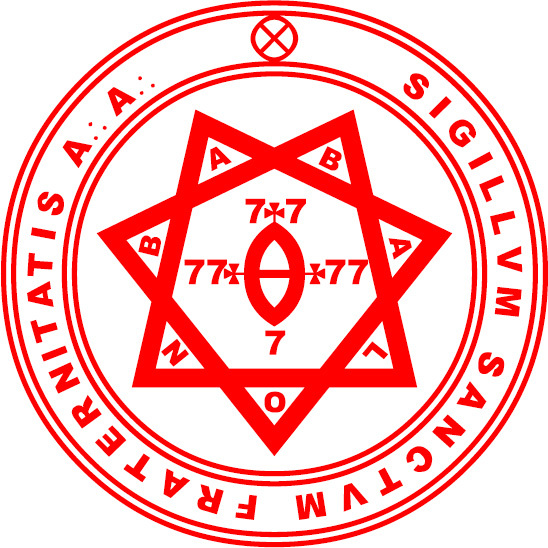 Six months after his admission to the Grade, he shall go to his Adeptus Minor, pass the necessary tests, and repeat to him his appointed part in the Temple of Initiation. 9. He shall in every way establish perfect control of his intuition, according to the advice of his Adeptus Minor, for that the ordeal of advancement is no light one. 10. Thus and not otherwise may he attain the great reward, YEA, MAY HE ATTAIN THE GREAT REWARD! An instruction for attaining Nuit. An instruction for attaining Hadit. An instruction giving three methods of reducing the manifold consciousness to the Unity.